I have what is probably an unhealthy obsession with Warcraft lore. I’m not an expert in it, but I have a never-ending appetite for it. 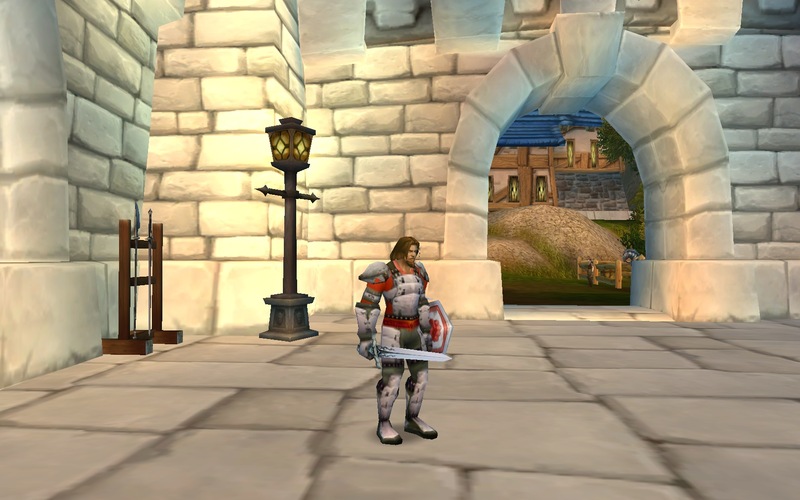 My love of Warcraft history is the inspiration behind my current outfit worn by Leorad, a protection paladin. 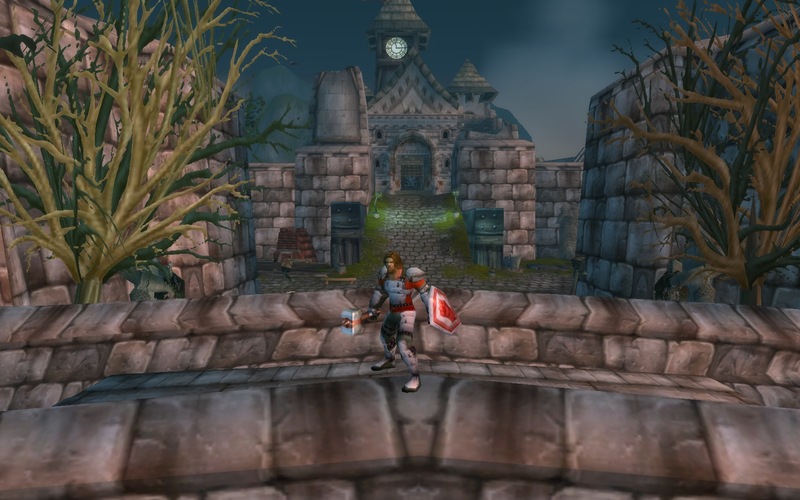 I’ve long been fascinated by Stromgarde lore and Danath Trollbane is one of my favorite characters in Warcraft history. So in my mind it made perfect sense to build a transmog set dedicated to the once proud nation. Posing next to Danath. Well, sort of. It was really important when I designed this look to stick to the idea that this set should be made for a soldier. 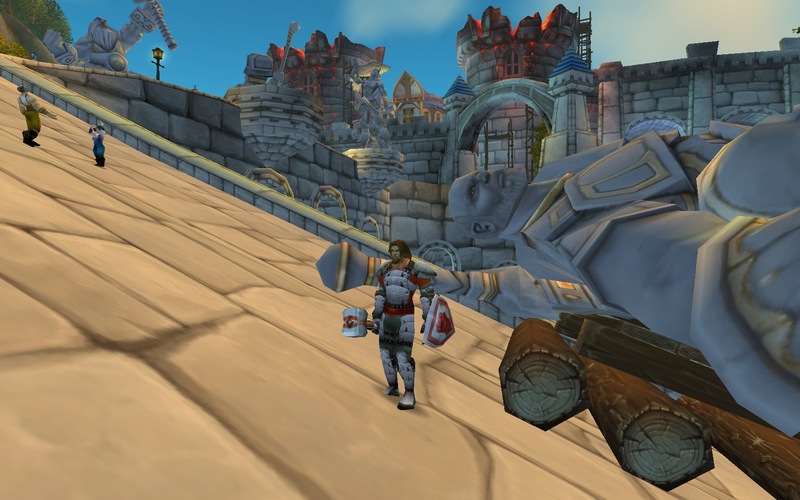 Many of our armor sets in WoW are very elaborate, which in reality would have a significant cost. I wanted to create a look that was both practical and economical to outfit a footman in. The central item tying this look together is the Overlord’s Shield. The red fist is the sigil of Stromgarde, lending authenticity to this armor set. 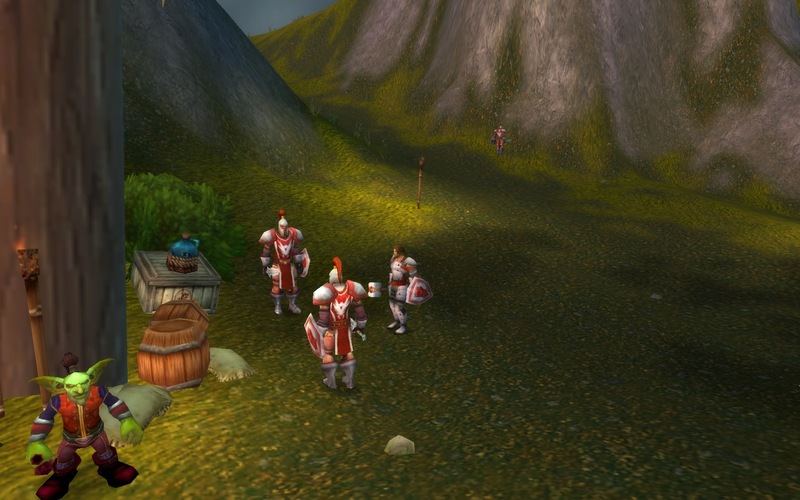 There are soldiers residing inside the crumbled remains of Stromgarde today, however the gear they are wearing is not attainable, nor is their tabard. Those shoulders are boss! Where did you get them?! Starting with the shield, I realized quickly that armor containing both white and red elements was extremely difficult if not impossible to find, so I quickly went another route. The white in the shield has a flat look to it, rather than glowing or polished. The Alabaster plate set matches this finish perfectly, and has a riveted and simple look that I felt matched the theme I had in mind. Not all the pieces were used however, as I felt it would become too one-dimensional. The weapons used are also meant to keep with the idea of the character being one of many, so they are not particularly impressive or ornate. The shirt worn underneath the breastplate is actually pretty important to giving the set red accents amongst all the white, gray, and black. 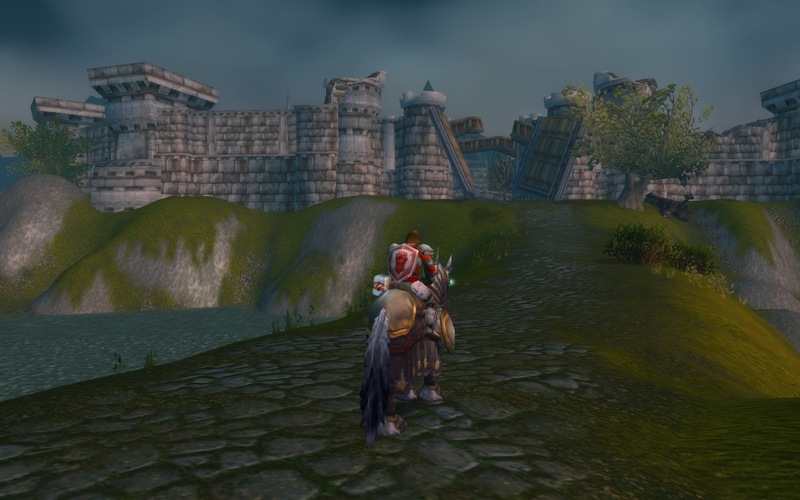 This walkway arches over the main path through the entrance of Stromgarde Keep. With sword instead of mace. There are a metric ton of simple weapons that look good with this set. Helms and cloaks are optional, and while I’ve found a helm that fits the look, it’s exceedingly difficult to get your hands on. The Whitesoul Helm is a rare headpiece whose blacksmithing pattern has a 0.4% drop rate from Nefarian in Blackwing Lair. See it in 3D. Galen Trollbane can be found near Thoradin’s Wall. He’s a Forsaken though, so that would put a damper on a family reunion. Acquiring these items will take some time. Alabaster plate has a moderately low drop rate, and your best bet is just to keep your eyes out for it on the AH. The shield is even lower a drop rate than the plate gear (I waiting about 2 months for it to show up on AH). The Red Linen Shirt is relatively easy to get your hands on, and there are so many weapons that work with this simple set that they should pose no problem either. The mace I use is crafted by blacksmiths. This was a really fun set to put together, and perhaps made more satisfying for the time it took and the luck involved. There are few feelings quite like seeing that one piece you need to complete your look sitting on the Auction House after months of waiting. Very nice. I think sometimes it’s almost more difficult to get a ‘simple’ look to work out the way you want it to. Thanks. This one came together conceptually really quickly, but the details took some time to work out. This is an excellent mog outfit. I love really well done simple plate sets, and yours is top-notch. Love it! I’ve known about that shield for a while, and knew I needed it the minute that transmogrification was available. I’m glad you like the simplicity. Starting with basic and simple elements allows you to add more impressive items (like the shield) for greater effect. Sometimes I think the ornate and visually stunning gear causes us to lose some details due to the overall effect, making a special weapon or helm (or some other item) get lost among the noise. If I may posit my own option? STROMGAAAARDE! I love that look, too! Wow, that guild tabard is amazing. There are some gold elements that go really well together in that look, even though the shield has no gold in it. That really looks great. I like the set, it is an excellent expression of basic soldiery. My Strom set is a tad more ornate, something for a captain or field marshal.